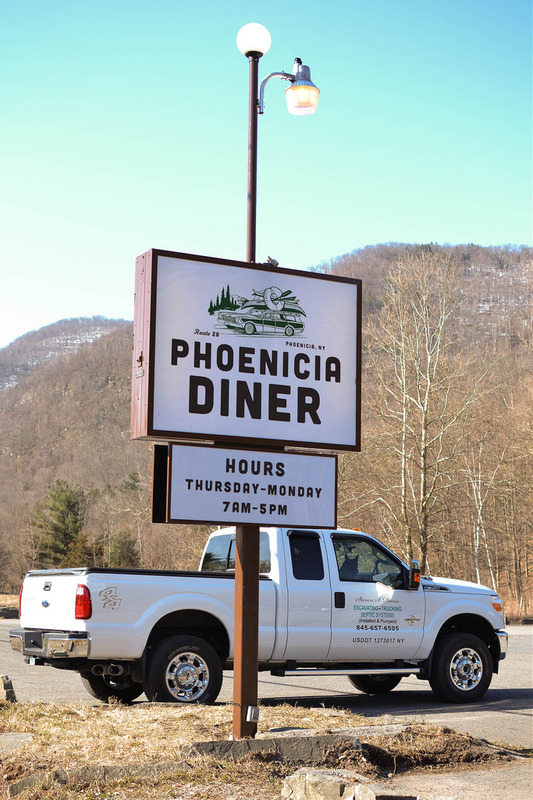 The Phoenicia Diner sits on Route 28, about two hours from New York City. 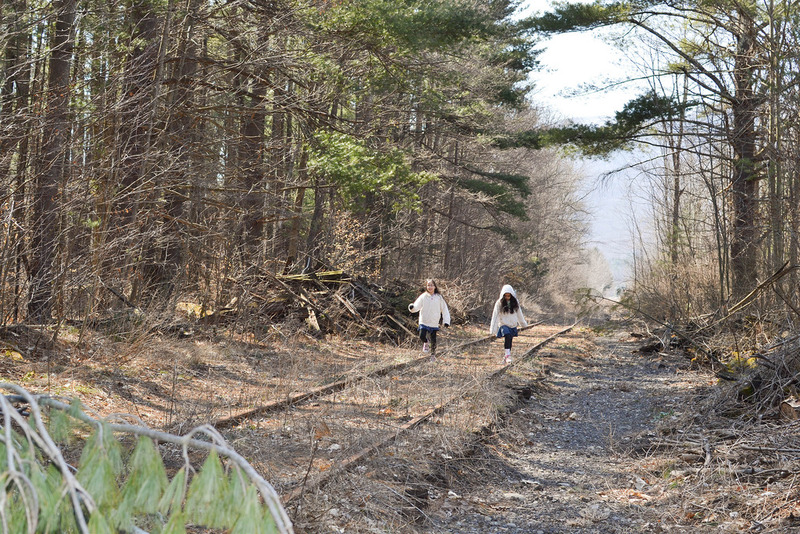 It’s right in the heart of the Catskill Mountains and is a must visit if you are in the area. It was built in 1962 in Brooklyn and moved to the Catskills in the early 80s. 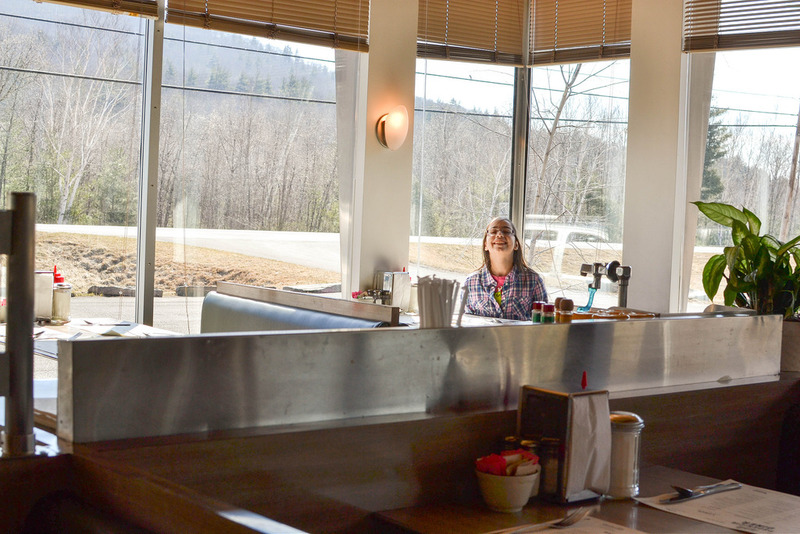 The owners at the time seemed to want to move away from the busy city life but weren’t quite ready to leave their beloved diner. 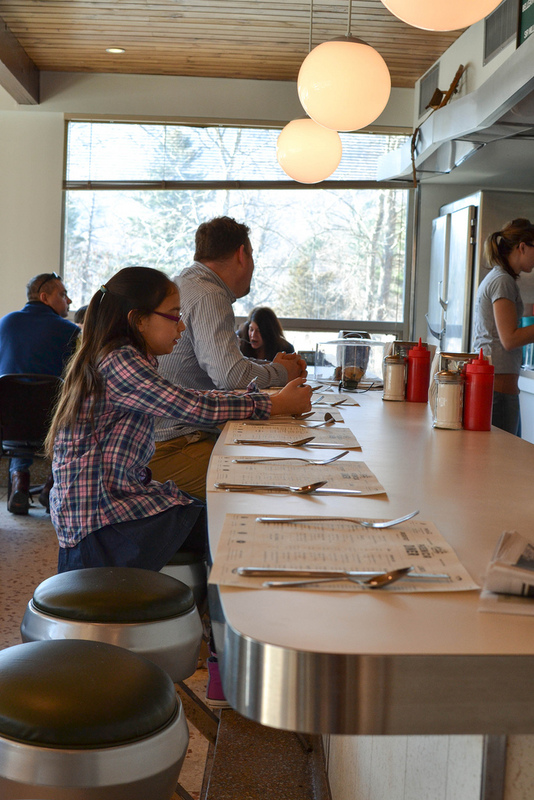 The current owner, Mike Cioffi, also from Brooklyn, has expanded the kitchen out back and serves fresh food sourced from Catskills and Hudson Valley farms. 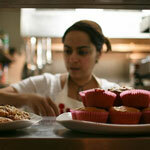 The menu covers traditional diner favourites which use fresh and seasonal ingredients. We arrived on foot having taken the path less travelled from Phoenicia’s town centre which was about 20 minutes walk. The menu really is a delight to read. 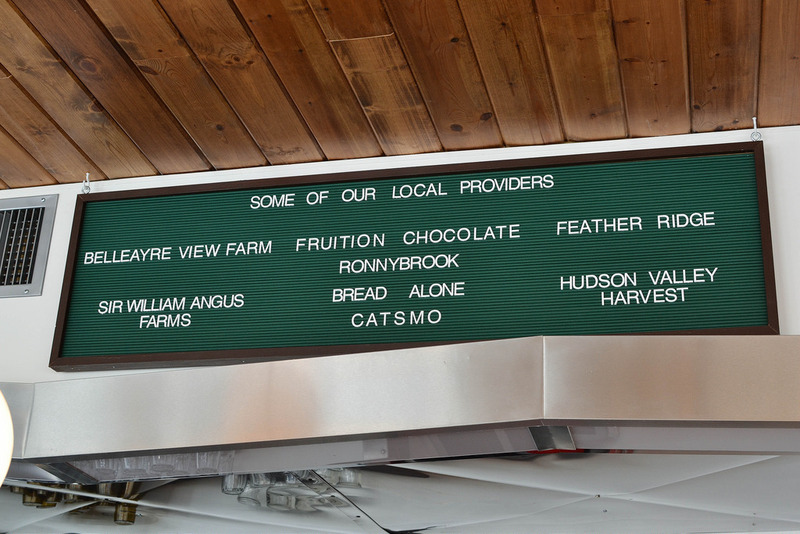 Mike really has a passion for the area and the local producers. He’s been coming to the Catskills with his family for years and so seems to know where to source almost everything. We sat at the bar because we wanted to be close to the action in the kitchen. 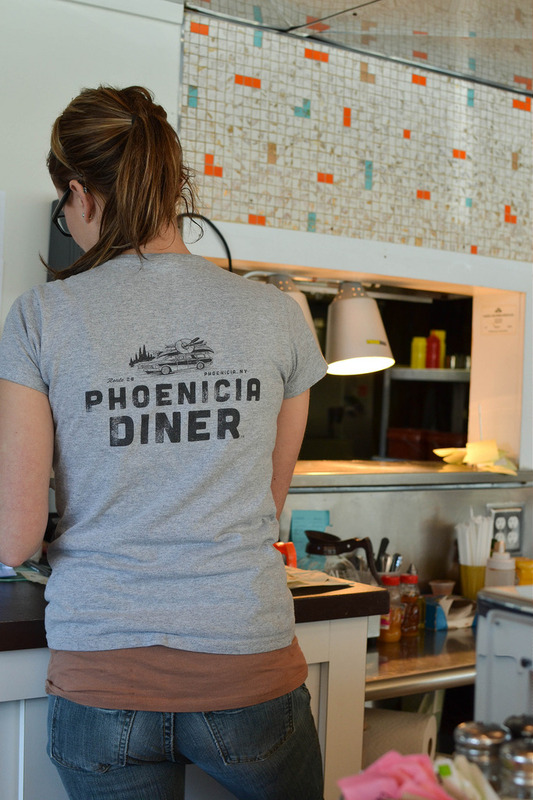 Even the waitress was effortlessly cool. 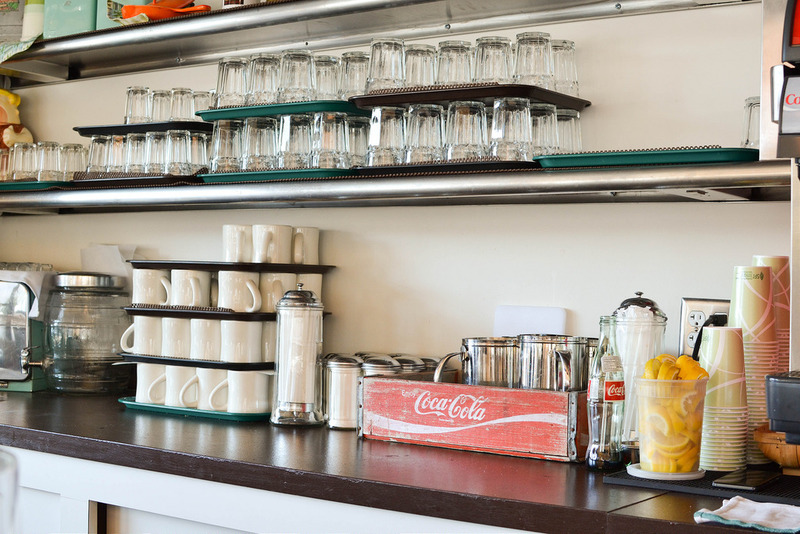 We loved the branding and the fact that the coffee cups and glasses looked like the ones you see in the movies. We were on holiday and it felt like going back to the days of Grease and The Fonz. Our menus choices were varied. 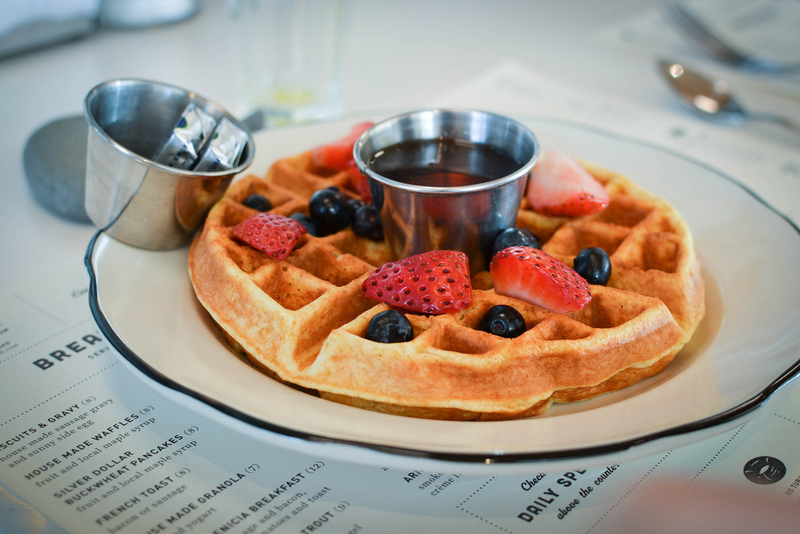 Amber decided on the only healthy option – Waffles with Local and Seasonal Fruit and Maple Syrup from local trees. 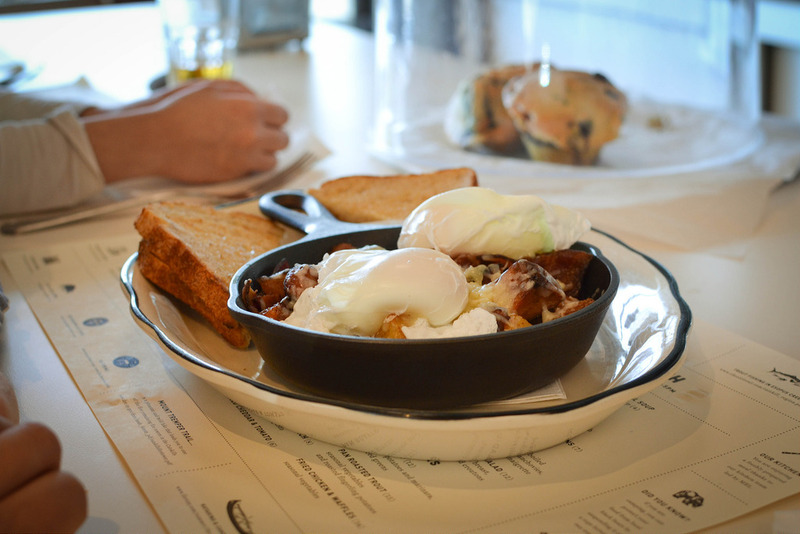 Amy and my husband had the Farmer’s Skillet with Sourdough Toast. 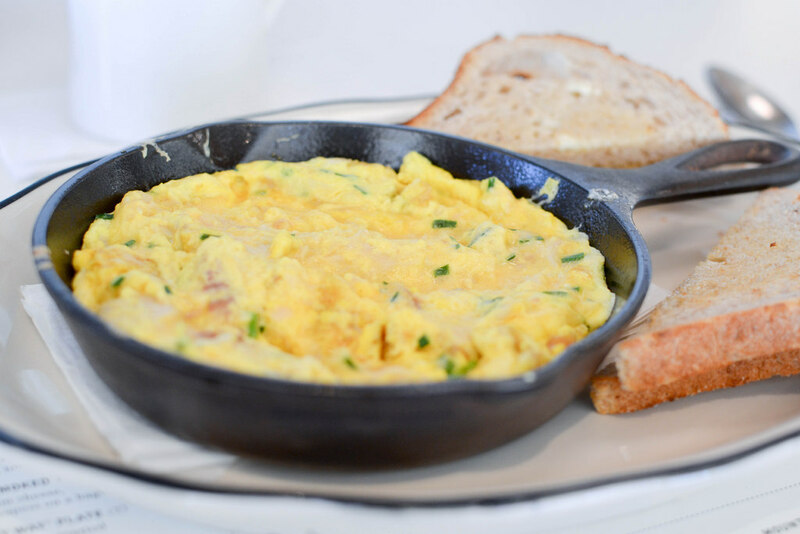 And I had the Arnold Bennett Skillet – smoked local trout, parmesan cheese and scrambled eggs with sourdough toast too. It was superb. For those of you like me who had no idea who Arnold Bennett was, he was a British novelist. This breakfast is named after him because while he was staying at the Savoy Hotel in London, chefs produced an omelette with smoked haddock, Parmesan cheese and cream, which he liked so much that he insisted on it wherever he travelled. It’s still served at The Savoy. All I can say is that I didn’t need to eat til the following morning because it was so filling! Our meal came to about $50 aside from tips. It was a bargain for great food which filled us up the whole day and the great, friendly company of Mike and his team. Thank you for an all American brunch experience.